We pay you to wreck your Mitsubishi! Contact Mitsubishi Car Wreckers Adelaide for a top dollar quote up to $9,999 cash. Premium Mitsubishi Wreckers Adelaide, SA for Premium Cash! Mitsubishi autos that have been involved in an accident and left the car with body damage and engine damage. Regardless, our wreckers cannot wait to start to dismantle the car or truck from its engine to its interior. This is to get you the most cash. 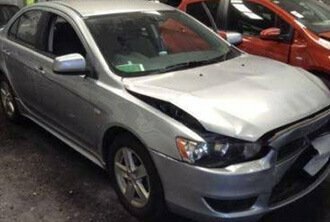 Mitsubishi autos that are damaged and the owners do not want to go to the expense of repairing the cars, or they are not worth the value to repair the cars. Our wreckers know how to maximise the profits of badly damaged cars. Mitsubishi autos that may be deteriorating. When the car is deteriorated or at the end of its life, the right wrecker can make the difference in the price you receive for the car, truck, van, or SUV. We are the right Mitsubishi wrecker Adelaide, SA as we have the experience to get car owners the most cash from the wrecking of their Mitsubishis. We are premium wreckers that pay premium prices for Mitsubishi autos. 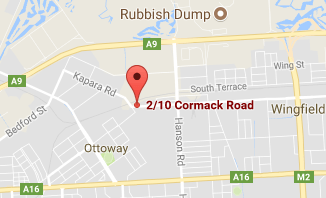 At Car Wreckers Adelaide, you get it all! Premium prices for Mitsubishi cars damaged or not, and stellar services that are always provided compliments of us. We come to your location in Adelaide to buy & remove your Mitsubishi, not waiting to put our cash payment in your hand of up to $9,999 cash. Our removals are quick and convenient and the time that we buy your car. Contact us for a free Mitsubishi removal. Why Mitsubishi Car Wreckers Adelaide? Reputable, a profitable way to “sell your car”, and always quick. Mitsubishi ‘Car Wreckers’ Adelaide is the best way to sell your car regardless of its condition. Used cars get top dollars just as wrecked cars. We are legitimate Mitsubishi car buyers & wreckers that you can rely on to make you our best-priced offer for your car, van, SUV, or truck. We are Mitsubishi Wreckers in Adelaide that are in the business of wrecking cars. You won’t find a team of amateurs that create hazards when wrecking cars, allowing them to sit on open plots or toss parts that cannot be reconditioned into a landfill. We are wreckers that are eco-friendly with a high regard for the environment. Our team provides courteous services to ensure a premium selling experience. One where car owners don’t have any expense or time consumed in getting their cars sold for a fair price. We are a wrecker that quotes prices for Mitsubishi autos over the phone and online, allowing car owners the option to accept or reject our cash quote without pressure. We also allow our customers to determine the best time for our technicians to arrive to buy & remove their cars.